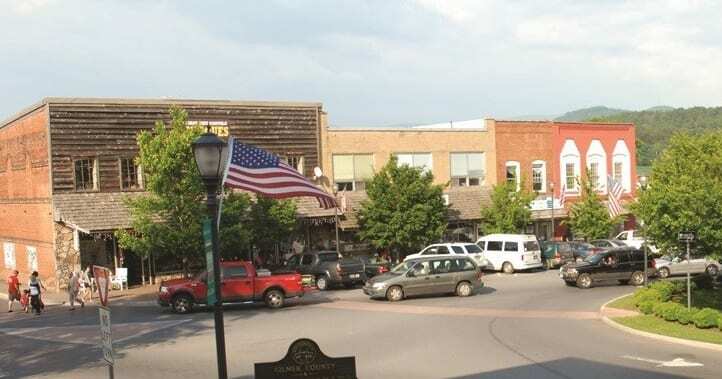 ELLIJAY, GA. – A recent listing as a finalist in the Nicest Places in America, Ellijay is garnering extra attention from the nation as a whole. Hosted on the USA Today 10Best.com website, the poll actually encompasses a cooperation including Reader’s Digest Magazine as well as Good Morning America. Even further, the poll draws in judges from other well-known shows and publications like hidden-camera show Random Acts, the Washington Post, and Project Happiness. Among 450 nominations nationwide, the pool has at last been narrowed to the top 10 finalists. Ellijay, Ga is one of the cities next to Bothell, Wa, Kalamazoo, Mi, North Riverside, Il, and Katy, Tx. 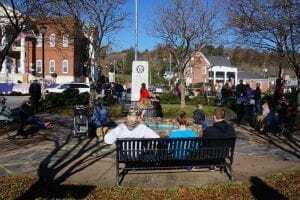 The list also has one county, Mower County, Mn, and four specific spots, Enoch Pratt Free Library in Baltimore, Md, Yassin’s Falafel House in Knoxville, Tn, Life Moves Yoga in Killeen, Tx, and North Evergreen Street in Burbank, Ca. According to Reader’s Digest Magazine, the nomination for Ellijay came from Marie and Steve Cortes who related the story of their first visit to Ellijay one January morning as they stopped into the Cornerstone Cafe. With every table in the restaurant taken, the Cortes’ were invited to sit with strangers as diners “scooched over” to make room. As someone who has lived here in Ellijay most of my life, I, too, have felt the indescribable pull of the people. Something about the area encourages me to grab a bite at the Cantaberry Restaurant while people watching and inevitably speaking to the people who walk by because we recognize each other. In fact, one of the recurring themes I hear about the city, and the county as a whole for that matter, is a story about a wave. Whether its Abby’s Ice Cream and Frozen Yogurt owner and Downtown Development Authority member, Mark Luchauer, who describes the city’s feel as “small-town USA at its finest, where you can walk down the street and wave at everybody and they’ll wave back,” or the owner/operator of the Cartecay River Experience, Woody Janssen, who said in an interview earlier this year, “It feels like The Andy Griffith Show in a way, everybody waves still. You go down to Atlanta and you wave at somebody, it’s not like that … It brings that down-home feeling,” the same them shows up repeatedly. While the voting on the poll continues, people who visit the site are encouraged to vote once a day until July 7. 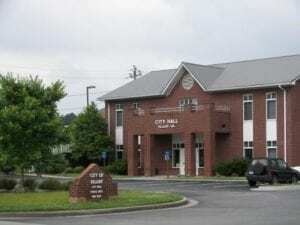 As of June 27, Ellijay is in second place of the voting and is continuing to rise in numbers. The winner of the poll will be named “Nicest Place in America” and featured on Good Morning America and as a cover story in the November issue of Reader’s Digest. People from all over are encouraging you to vote, everyone from locals to businesses to the Gilmer Chamber have been posting on social media sites about voting and why they love the town. You can join in by voting on the website as well as sharing your vote and story on social media. While you’re sharing the story, make sure to continue sharing the love through everything you do, even with a small wave at a stranger on the street.